John was a fierce advocate for our natural places. He loved nature and shared his experiences in hopes of inspiring others to follow his footsteps out of busy lives and onto the trails. For generations and spanning cultures, spirit and happiness are all connected with nature. It is a part of us as much as we are a part of nature. 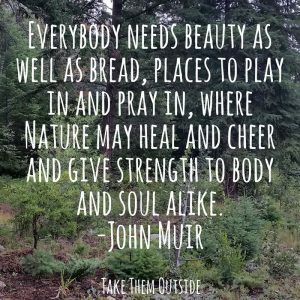 Because connecting with nature can look entirely different for everyone, Take Them Outside has started a series to share these personal stories. 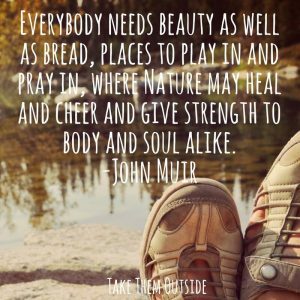 As I began writing this blog, I realized that there are so many ways to enjoy and appreciate nature. For some families, it might be hiking off into the desert once each year. Another family might enjoy feeding the ducks at a nearby pond. While another family might have a potted cactus in their kitchen and routinely watch nature documentaries. Each of these families are connecting with nature. I do not believe we can put a value to their interaction and I’m a strong believer that all appreciation, in whichever form, is important for both us and for the natural world itself. I guess it is my hope that conscious small acts, like growing a spider plant or watching planet earth will lead to bigger adventures like growing a garden and wanting to protect planet earth. What is the Connecting with Nature Series? Many of the shared stories will be about families, some won’t. Some will instruct while others might be anecdotal or entertaining. 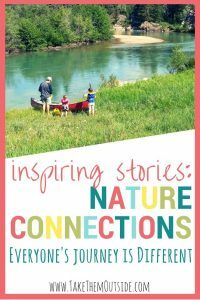 However, it’s my intention that these nature connection stories give you validation and inspiration. Validation that however you and your family connect with nature is important and valued. And inspiration to find and make and strengthen your own family’s relationship with the natural world. 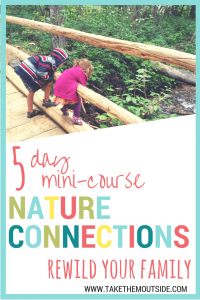 This free 5 day mini-course is designed with the busy family in mind. Every day you’ll be given a few activity options. By the end of the week you and your family will have been challenged to take notice of nature, craft or create with nature, bring nature into your home, and have an adventure outdoors. 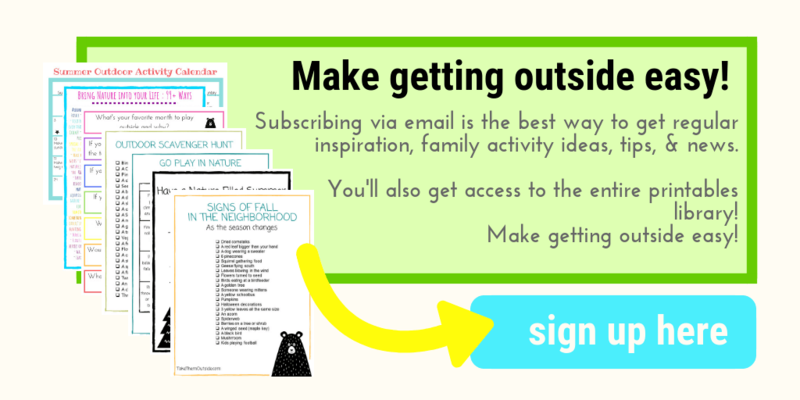 Sign-up for the nature connections mini-course here. 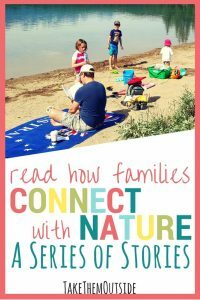 Share how your own family makes connections with nature? Eventually I may post some guidelines and expectations for this submission, but in the mean time you can contact me your intention to submit a story and I can pass along more information that way. I’d love to hear how you bring nature into your life!